At Scaffold Resource, we customize scaffolding solutions for every project we handle. For each job, we follow a series of work phases to ensure that we provide each customer with the precise kind of scaffolding they need to complete construction work on time and within budget. 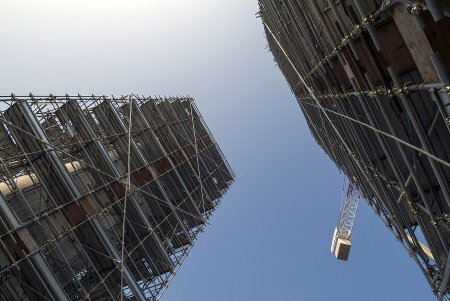 Each scaffolding project starts with a consultation with our team, so we can fully understand your needs and the unique features of your job. We then conduct a field analysis to get a closer look at the on-the-ground realities of your project, which allows us to note any specific challenges that need to be addressed. Next, we design your scaffold and engineer a customized system that is both functional and safe for your job site. Finally, we erect the scaffolding and follow up with you throughout the project to troubleshoot any issues and to ensure the continued safety of your employees. Whether you need a high-capacity work platform, a small-scale scaffold, or a shoring system for your construction project, Scaffold Resource is ready to provide the tools you need to get the job done. Start the process of renting a scaffold in Washington, D.C. today by calling (301) 924-7223. Falls are the leading cause of death on construction sites. 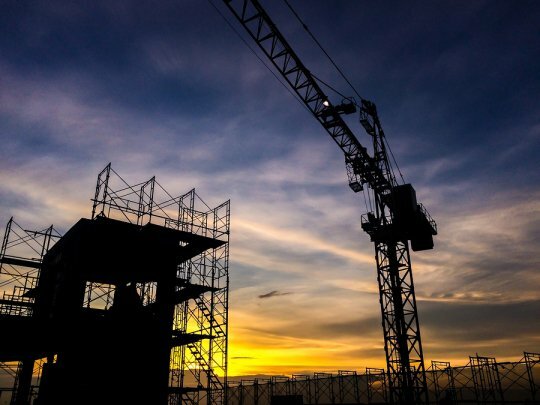 To protect workers from these risks, one of the most important steps employers must take is to ensure that all scaffolds have the proper safety equipment. Watch this video to learn about the dangers of not following proper safety protocols when using scaffolds. All scaffolding over 10 feet should have protective barriers to reduce the risk of falls and should be a sufficient height to allow workers to complete their jobs without the use of a ladder. For reliable scaffold rentals in Washington, D.C. for your construction site, choose Scaffold Resource . We provide scaffolding and shoring systems for jobs of all sizes that meet the highest safety standards. To secure a rental, please call (301) 924-7223. Scaffolds are an essential part of the construction industry, but when used incorrectly, they also represent a major risk factor for workplace injuries and loss of life. The Occupational Safety and Health Administration, or OSHA, has set standards for safe scaffold use that are applicable across the industry, nationwide. At Scaffold Resource, we can help your company meet these safety requirements and ensure that your employees are protected on the job site. Here is a closer look at OSHA’s requirements for training employees on scaffolding use. All employees who work on scaffolding must be educated about the safety risks associated with scaffolding use. They must also learn how to recognize signs of safety issues on a scaffold or in work practices that are used on scaffolding and measures that should be taken to reduce those risks. A person who is knowledgeable about scaffold safety must provide this training. Typically, a trainer must be a “competent person,” as defined by OSHA. According to OSHA’s criteria , a competent person is someone who is capable of recognizing safety issues in the workplace and who has the authority to address those issues with corrective actions. Employees who handle these responsibilities on the job site must be trained by a competent person in each of these activities. The training must be specific to the kind of scaffolding being used. At Scaffold Resource, our employees can handle the erection and dismantling of your scaffolding, as well as any repairs and maintenance needs you have during your project. Employees must be retrained to work on scaffolding any time a change is made on the worksite that was not covered in the initial training. Employers should also require employees to undergo retraining if they believe the employee is not following the appropriate safety procedures or did not retain the information from their initial training. Safety is our priority at Scaffold Resource, and our team will work with you to ensure your employees can do their jobs as safely and efficiently as possible . If you need to rent scaffolding in Washington, D.C., call us at (301) 924-7223 to start the process of planning your project.